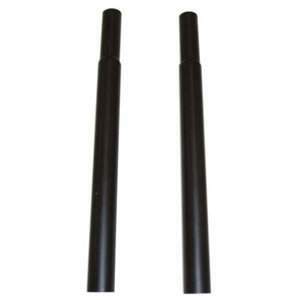 Add Pair of 38cm (15in) Black Extension Pieces to your basket? Add 15cm/6" Extension Pieces to increase height of Caraselle Rails - Black to your basket? One of the strongest Clothes Rails available. Extremely robust & durable, made of steel with a black epoxy finish. The ultimate clothes storage solution ideal for handling large and / or heavy garments. 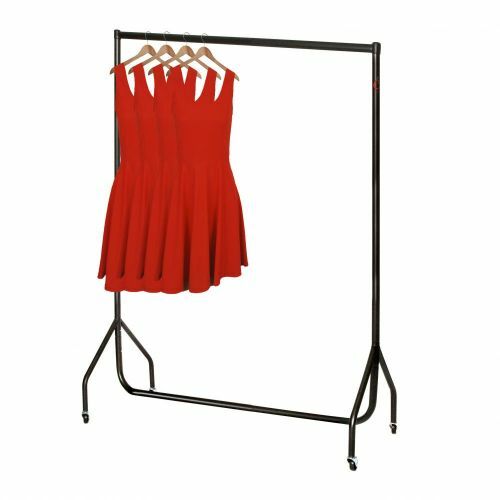 Our 4ft garment rails are made of the highest quality materials and provide a simple, quick inexpensive answer to creating more hanging space. 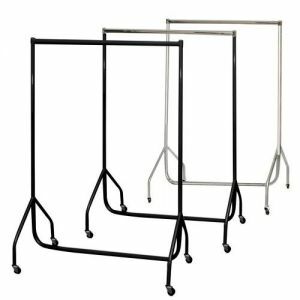 Our 4ft garment Rails are available in various colour options – All Black / Black with Chrome Top Rail / All Chrome. Our Clothes Rails are as easy to assemble as they are strong. The product will be delivered to you flat-packed for easy handling and is so simple and quick to put together – we always recommend that you start from the bottom upwards.